I just finished my backlog of reading that I missed while on vacation, and one article stood out among the rest. It included the head-shaking bewilderment at the President’s much-criticized “You Didn’t Build That” statement from last week, yet contrasted it with an obvious POSITIVE illustration. 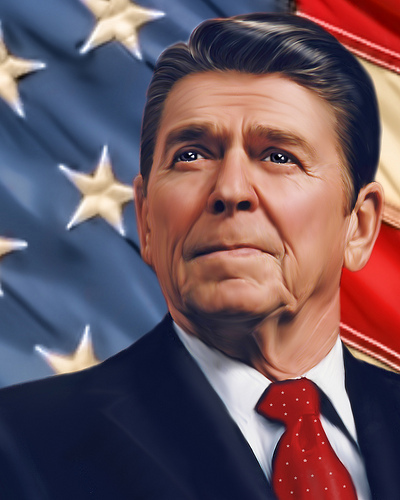 Does anybody remember, back in the depths of the recession of 1981‒82, how President Ronald Reagan kept his chin up and exhorted American businesses to work hard and produce an economic recovery? Reagan had a program of tax cuts, limited domestic spending, deregulation, and a strong defense aimed at overturning Soviet Communism. He argued in speech after speech that his domestic plan would produce higher economic growth and lower unemployment, and that prosperity would generate the resources to fund a strong national security. Thanks for the re-blog, Blaine! Will you be keeping this blog up, as well? Or will you only concentrate on the new site? So, will you shut this site down, or just leave it alone for awhile and redirect everyone over to the new digs?